Last summer I got the strange idea to build a terrarium for my bedroom. I researched about it and bought a few plants, and got together some dirt and rocks. I assembled my plants, rocks, and twigs in a large jar, set it in my room, and forgot to water it for a month. Obviously it died and ever since I have been afraid of having house plants. I have tried to keep a bulb in rocks alive, but it has started growing sideways instead of up, so I will have to do some research on plants that are hard to kill before my next plant investment. 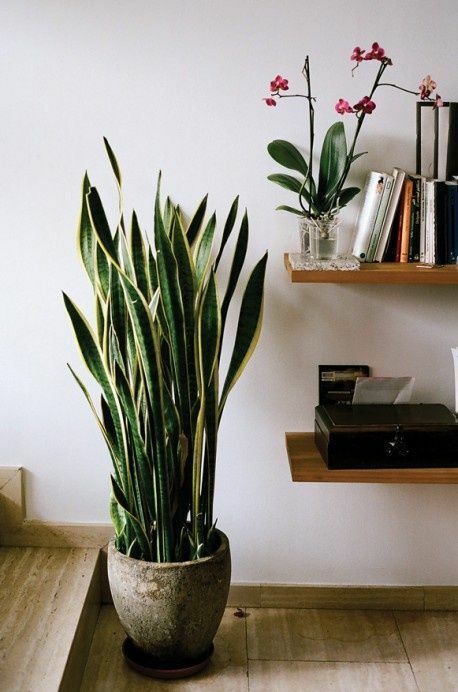 House plants can really lighten up your house and add some fun colors and textures. 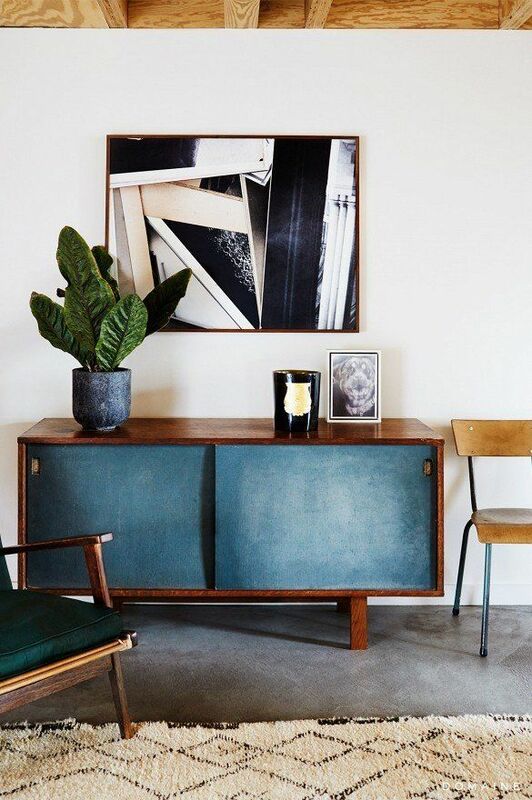 Having too many plants can be a bit much, so try to keep it to a tasteful amount. I absolutely love a house filled with plants, but I don’t seem to have the green thumb for it. 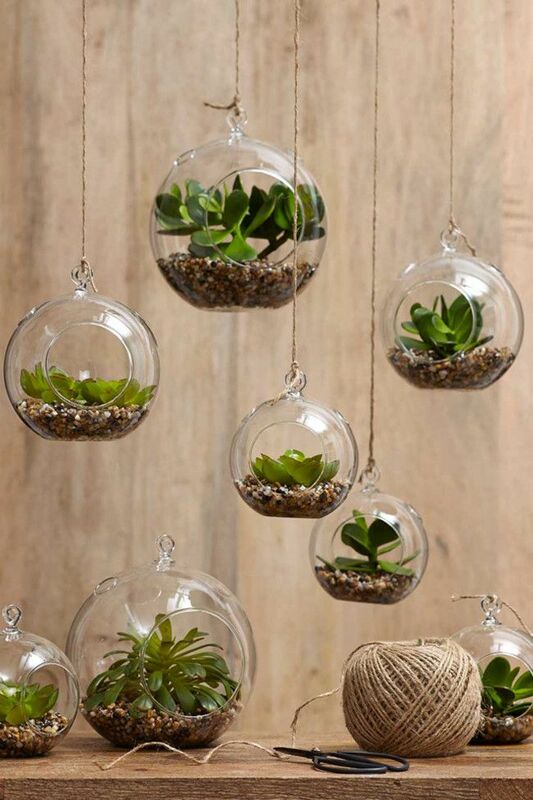 Have you heard about air plants? I am pretty sure those are the only plants I will ever be able to keep alive. Well here are some pretty plants that maybe you can keep alive. 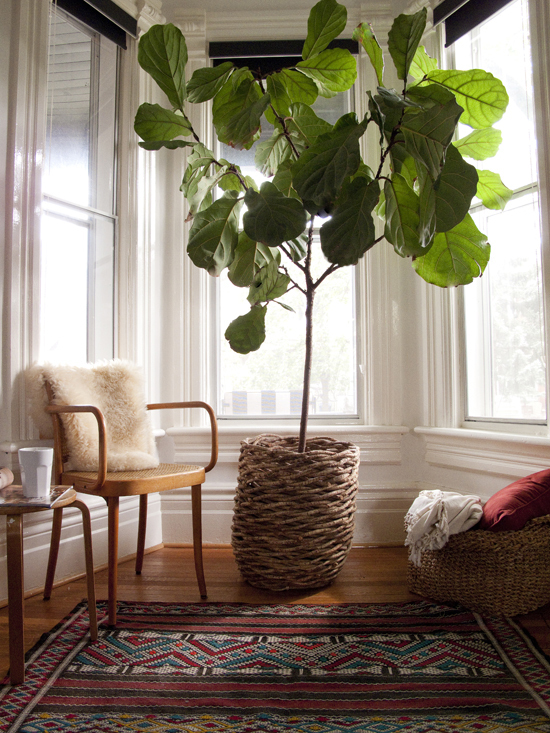 Try to integrate a plant or two into your interiors to add a bit of fresh air.